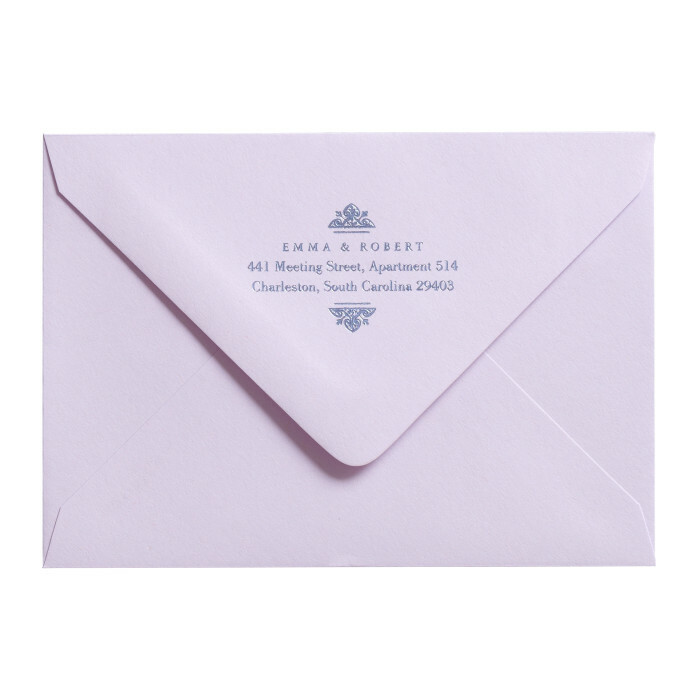 Repetitive use of the ornamental detail ties the Emma Thank You Card Envelope together with the other collection pieces. The graphic perfectly aligns with the cut of the envelope flap. Metallic foil stamping of the address adds pizzazz, while the tone-on-tone palette adds sophistication. The address is richly foil-stamped in a metallic lilac sheen onto matte envelopes.